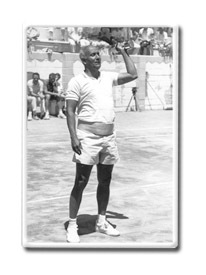 On 22 June 1986, Sri Chinmoy held a weightlifting demonstration to mark the one year anniversary of his lifting; the Master of Ceremonies for the evening was Olympic Champion Carl Lewis. Shortly afterwards, he began supplementing his one-arm lifts in training with seated calf raise lifts, where the weight would be supported on top of his knees and then be lifted by raising his heels. The stronger leg muscles allows more weight to be raised in this fashion. Sri Chinmoy now began setting record marks in the standing calf raise – where the weight is supported on top of the shoulders – in addition to the one-arm lift. 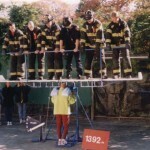 In July 1986 he set a mark of 1400 pounds, working his way up to 2000 pounds by November. 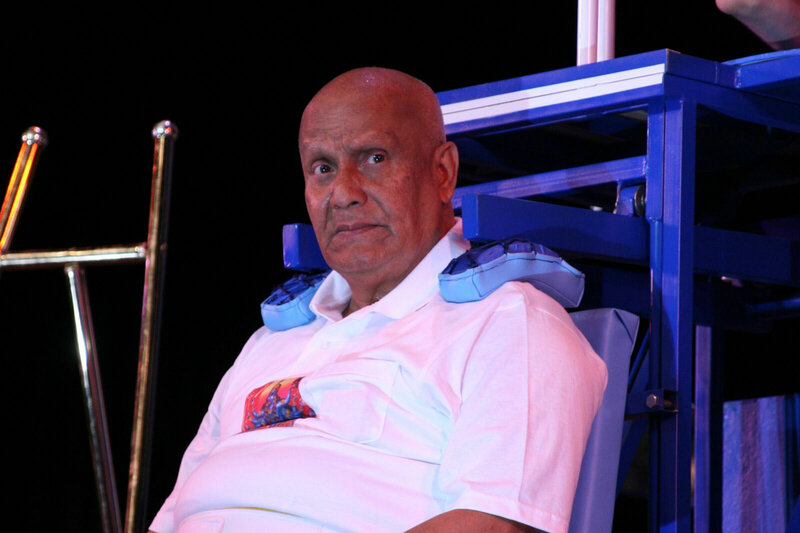 Sri Chinmoy would work his way up to them in a series of repetitions, which meant that the total weight lifted in any one session could be up to 50,000 pounds. 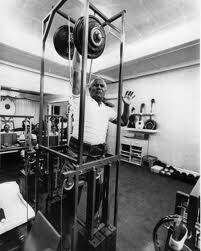 Video: An early calf raise by Sri Chinmoy of 1000 lbs. Unfortunately, even now I do not really enjoy it. Only my surrender to my Inner Pilot compels me to do it. But I do it obediently and even cheerfully, and definitely I do it devotedly. As I said, I pray and meditate. As soon as I pray and meditate, I become a devoted instrument of God, and then automatically I become cheerful. How does this average looking physical specimen achieve such power? He would credit his outer strength to his inner peace, and the unlimited potential of the human spirit – a vivid visual of faith that can move mountains. Guru Sri Chinmoy is a treasure in our world, as he reminds us all that there are no barriers we cannot overcome..if we believe. 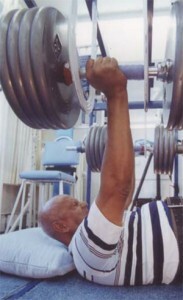 In September 2006, Sri Chinmoy embarked on a three day festival of weightlifting with special guest Hugo Girard, at that time the world’s No.1 strongman. He had just turned 75 years of age; yet Sri Chinmoy saw his advanced years as an opportunity, a chance to prove that age was an irrelevance once you live in the heart rather than in the mind. Article by Nirbhasa Magee and Tejvan Pettinger.